I find there to be something so dignified about readers. The whole process of it – taking the eyewear case out of your bag and cracking it open, slipping on your frames of choice, and seconds later, being able to comfortably and confidently read whatever it is that is in front of you while sporting a totally upgraded overall style, just feels very sophisticated and chic, no? 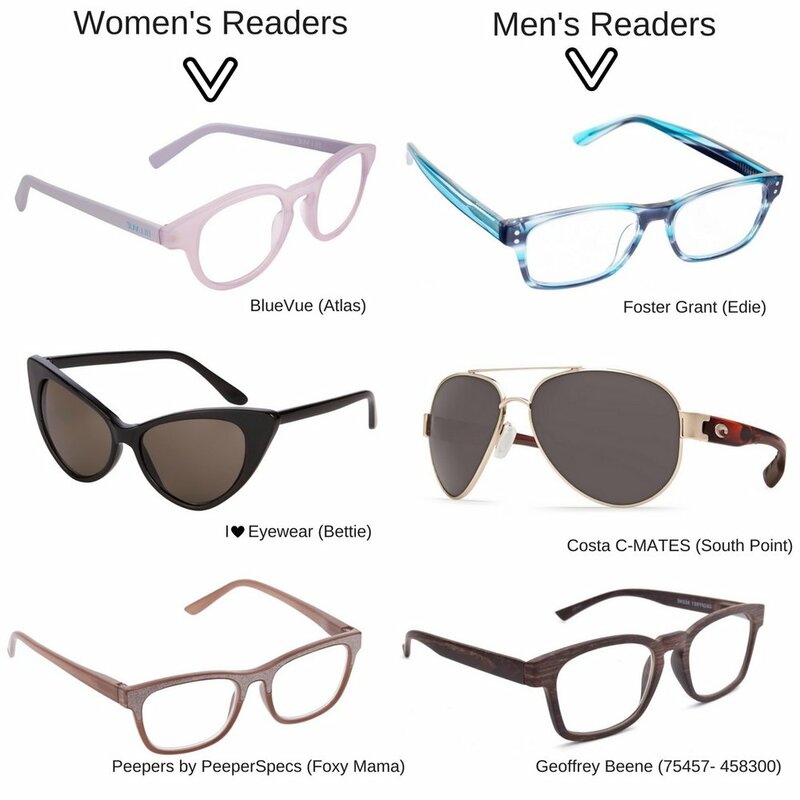 Just to cover all bases here, in the event you aren’t familiar with reading glasses, (though, currently, 32.1 million American adults report wearing readers – so I’m guessing many of you have a pair or two to your name) - readers are made ready-to-wear with lenses meant for up-close viewing. The magnifications range from +1.00 to +4.00, and the lens power one requires to relieve strain on the eyes is best decided in conjunction with an eyecare provider at an annual eye exam. Don’t be afraid to step slightly out of your style comfort zone and go with something that makes a statement. Get Colorful: Bright purple, citrus orange, fiery red or even an aqua-inspired blue hue are great choices for frames that bring a pop of color into your wardrobe - these options are especially great for those of us who tend to lean toward the more neutral tones from the neck down! Or, go with a color you love but rarely wear - for me, pale pink is always on my fashion wish list, so a pair of frames in this of-the-moment shade is a total win. Shape Shift: Play with proportion here, and take advantage of the abundance of oversized, geometric and mod round offerings out there. Since reading happens outdoors as well as in, I love the idea of a cool pair of cat eye sun readers for perusing a new book poolside. And for the guys, aviators and Clubmaster-inspired silhouettes are the most timeless takes on throwback styles. Dote on The Details: Whimsical details add an instant fun factor to frames as we head into Fall - for example, glittery brow bars (like the ones I am currently wearing! ), floral prints, double bridges and translucents. For men, the details are decidedly less “out there” while making an impact up close. Subtle metal accents, futuristic cut outs and, my personal favorite, nature-inspired prints should be on every guy’s radar. To check out all of the trends that The Vision Council is forecasting for Fall 2018, click here. Note: This post is sponsored by The Vision Council, however all views expressed are completely my own.